He is deploying for his second tour of duty in Iraq Monday morning. Lance Cpl. Nate Salatin (soon to be Corporal) of Augusta County is heading out again to serve in Operation Iraqi Freedom. Godspeed, Nate. We love you ... we will miss you ... and will keep you in our prayers. And though you don't think you're a hero, we do ... and we thank you for your part in protecting our freedoms and keeping us safe from terrorism. Mark Sanford: "Loyal to ideas, not to men"
Gov. Mark Sanford of South Carolina hits the nail on the head with his Politico piece asking what's ahead for the GOP ... and making some good points. I was alerted to it by Norm Leahy in his "Loyal to ideas, not men" post. First, let’s go back to the principle of saying what you mean and meaning what you say. Second, our loyalties need to be to ideas, not to individuals. We have to find our way ... or we will be wandering the political wilderness for a long time. Cordel Faulk, former Commentary editor for the Richmond Times-Dispatch and currently communications director of UVa's Center for Politics, wrote a tribute to former Gov. Jim Gilmore in today's RTD. After praising Sen. Warner for his service to country and the Commonwealth, Mr. Faulk wonders what type of Virginian could follow a man with such big shoes to fill. His conclusion? The man who ran for the office (and who was not publicly supported by John Warner) ... the man who has spent his adult life in service to country and the Commonwealth. He volunteered for service in the U.S. Army in 1971 -- a Vietnam-induced low point for the military -- and became a counterintelligence officer. After leaving the armed services in 1974 with an honorable discharge, he enrolled at the University of Virginia School of Law, as Warner had two decades before. With a juris doctorate in hand, he entered private practice before signing on as a lead government lawyer. His 10 years of public service as a lawyer included stints heading both criminal and civil prosecutions against those who would do violence against the commonwealth. Attaching the label "relentless" to him is not a stretch. His previous service was rewarded when he was chosen as chief executive of the Commonwealth of Virginia. To further burnish his reputation, Congress appointed this man to serve as chairman of the Congressional Advisory Panel to Assess Domestic Capabilities for Terrorism Involving Weapons of Mass Destruction. The commission's major claim to fame: It warned that "valid concerns remain that the United States is still not appropriately organized and prepared to counter and respond to the threat of either mass-casualty . . . terrorism [or weapons of mass destruction]." That warning was given on Dec. 15, 1999. In other words: He led a commission that warned America was not prepared to repel or respond properly to a 9/11-style attack almost two years before it tragically happened in Lower Manhattan and Northern Virginia. This gentleman went on to become a nationally recognized expert on homeland security. Jim Gilmore is a good, honorable man who dedicated his lifetime of labor to serving this nation and this commonwealth. I agree with that statement, something I have been scorned for by anonymous readers who are too cowardly to step forward and publicly back their statements. ... Gilmore made a wildly popular promise to the voters during the 1997 election that he would end the personal property tax on automobiles -- the "car tax." Eight simple letters -- No Car Tax -- put him in the Executive Mansion. ... Gilmore promised to end the car tax without raising other taxes and voters swooned. He did little more than try to keep his word. Other politicians promise one thing, and then deliver something else. Not Jim Gilmore. He promised come hell or high water to end the car tax, and he worked like mad to keep his word. There's something admirable (and rare) about being able to trust the word of a politician. ... is Gilmore one of those duplicitous, slick hucksters who normally infect the modern body politic? No. He deserves some credit for that. But back to his perfect-to-replace-John-Warner résumé: Should anyone castigate voters for not sending Gilmore to the U.S. Senate? No. Citizens don't vote -- in a vacuum -- for résumés. For all his service, this just isn't Gilmore's time. The former governor is a bare-knuckled, hard-scrabble partisan brawler. That's not the country's mood right now. After the intense political brutality of the Bill Clinton and George W. Bush years, the public is tired and ready for something more conciliatory. But that doesn't mean Gilmore doesn't deserve his due for a lifetime of service. Augusta County carried for Jim Gilmore. We did our part to put a man in office who actually deserved it and not because of a pleasant personality or smooth campaign style. I still think he was the right man for that job ... and time may prove to others that they should have voted him in as we face the possibility of more terrorist attacks and instability in our financial markets. Tomorrow is CyberMonday and there are bargains to be found online if you take the time to look. 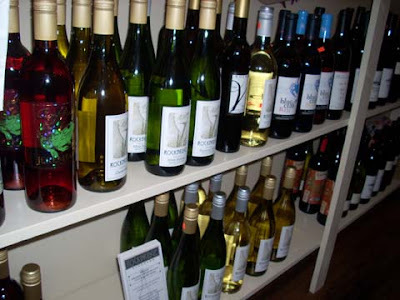 At dealnews, every deal we list is the lowest price we could find for that product, sold by a reputable store. That means we list the best deals period, regardless of our relationship with the seller, and we ban stores with a history of poor customer service. Their editor was on Fox News Sunday morning talking with the anchors about the coupons and favorite brands that can be found at DealNews.com ... everything from furniture to clothing to restaurant coupons to computers and techie gadgets. If you are coming into this room with sorrow or to feel sorry for my wounds, go elsewhere. The wounds I received, I got in a job I love, doing it for people I love, supporting the freedom of a country I deeply love. I am incredibly tough and will make a full recovery. What is full? That is the absolute utmost physically my body has the ability to recover. Then I will push that 20% further through sheer mental tenacity. This room you are about to enter is a room of fun, optimism, and intense rapid regrowth. If you are not prepared for that, go elsewhere. Godspeed for a full recovery to this Navy Seal. Chris Matthews? Running for U.S. Senate? A Pennsylvania Democratic Party leader says MSNBC pundit Chris Matthews may be considering a run for U.S. Senate in 2010. The Patriot-News of Harrisburg reports Matthews met with state party leaders this past week in Washington to discuss a possible bid to unseat Republican Sen. Arlen Specter. Virginia Tech 17 ... UVA 14. Virginia Tech's football game began at noon today ... and my step-dad is parked in front of the TV watching his alma mater play play the University of Virginia. As we put up the Christmas tree and decorate the house, we are mindful to not disturb him as he watches his beloved Hokies on this late November afternoon. Shhh! Virginia Tech football is on. Go, Hokies! Over the years you have probably seen the stunning photos of thousands of wreaths adorning the graves of America’s veterans laid to rest at Arlington National Cemetery. The tradition began 17 years ago when Morril Worcester, president of Worcester Wreath Company, began adorning the graves of our heroes with wreaths at Christmas time. Mr. Worcester wanted to spread the tradition across the country, and so began the non-profit, Wreaths Across America, last year. 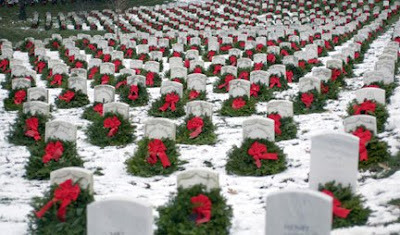 The goal is to have a wreath on every veteran’s grave. Move America Forward has joined hands with Wreaths Across America in this noble effort, and we need your help to fulfill the hope of remembering every veteran who went to his or her eternal resting place after serving our country. Remembering those who served our country is simple. Sponsoring a wreath costs only $15 for the honor of recognizing the sacrifices of our veterans whom we must always remember. After sponsoring the wreaths, your contribution to this great effort is done. We are working with Wreaths Across America to ensure that each and every wreath you sponsor is placed with love and respect on the graves of those who rest at national and state cemeteries across the country. Remembering our fallen troops and those who served our country with great dignity and pride is especially important during the holidays, when we spend time giving thanks and celebrating the spirit of dedication and love for one another. Important: You must include a special code to link your sponsorship to Move America Forward -- "CAMAF001." 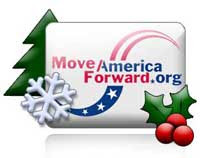 Move America Forward is proud to participate in this important project. Sponsoring wreaths will take only a few minutes of your time. Would you carry a weapon to save your parents? Dr. Susan Gratia's testimony before Congress about the deadly massacre on October 16, 1991, at Luby's Cafeteria in Killeen, Texas, by bitter and deranged George J. Hennard, who randomly shot and killed 23 innocent people (including Dr. Gratia's parents) and wounded 20 more before killing himself. Dr. Gratia's emotional and powerful testimony was in defense of our Second Amendment right to defend ourselves. The changing of the guard in America will occur in January and we have already seen a major terrorist attack in India, as promised by al-Qaida when they warned of attacks before inauguration day. No matter how anyone feels about President George W. Bush, the truth of his presidency is clear: he kept us safe. He responded to the terrorism attacks of 9/11/01 and vowed to the American people that he would protect us ... and he has. Few acknowledge gratitude, due largely to the mainstream media that successfully squashed the good this president did and, instead, concentrated on the negatives. But the bottom line remains: President George W. Bush kept us safe. We were able to continue our lives without interruption even as our military men and women fought in Afghanistan and Iraq ... we were able to shop in our malls, watch our children's soccer games, continue with our political process, enjoy a strong economy even in the face of possible financial tanking by major airlines and financial institutions in the days and weeks after 9/11. I count as a plus Bush's taking down a man who killed 300,000 people, a man who convinced his own generals that he had weapons of mass destruction that they were supposed to use. But despite warnings from some quarters, Bush did not ensure that the war was prosecuted correctly after the invasion. He then had the courage to turn things around with the surge in Iraq. Bush’s No Child Left Behind Act helped to reintroduce the successful program of phonics — sounding out letters — to reading instruction. Now tests are reporting significant improvement in reading scores throughout the nation. In some areas, the achievement gap between black and white students has been cut in half. Granted, the economy has taken a tremendous dive, and the stock market is scary, but the truth is, Bush did not have a lot to do with the combination of factors that came together to make the economy implode. Almost since taking office, Bush did warn about the need to bring Fannie Mae and Freddie Mac under control. He introduced legislation to do so. Each time, Democrats and Republicans in Congress rejected the measures. Ultimately, he took bold action to help fix the financial meltdown. As FBI Director Robert Mueller has told me, al-Qaida’s goal is to wipe us out with nuclear weapons. The media and liberal politicians will tell you it’s an accident or a matter of luck that we have not experienced a terrorist attack since 9/11. On Thanksgiving, we [enjoyed] our turkey and cranberry sauce in safety thanks to the sweeping changes Bush instigated in the intelligence community and the work of the FBI, the CIA, and our military under Bush’s direction. Will we see acts of terrorism rise under President Barack Obama's watch? All indications are ... yes. 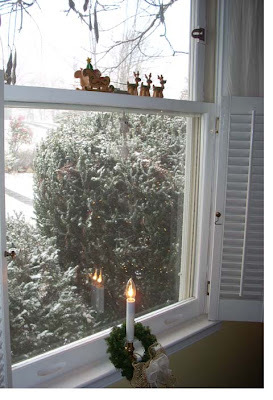 In the mood to celebrate the spirit of Christmas? 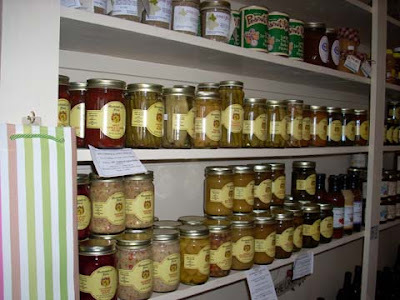 Drive out to Chester Farm in Churchville for activities today and each Saturday leading up to Christmas. St. Nicholas arrives today at noon on the straw wagon that will take him to the main barn where he will be visiting his Virginia Christmas workshop. Children visiting St. Nicholas will receive a Shepherd's Candy Cane, and hear the story of St. Nicholas and the Nativity. - Visit with St. Nicholas. Photos available for $5 each. - Free wagon rides around the farm from 9 am-4 pm to make a selection of a Christmas tree. All trees have been cut within days of your visit and will be taken to the sales barn on the wagon. - Visit lambs, a miniature pony, and Annabelle, the thoroughbred filly, from Monday-Saturday, 9 am-5 pm. - Cookie samples available in the sales barn. - Roasted marshmallows for one and all. Bring a gift of canned food or any item of clothing such as socks, hats, scarves, or mittens will be welcomed. The gifts will be given to St. Nicholas who will donate them to the S.A.C.R.A., an organization totally comprised of volunteers, supported by the area churches. 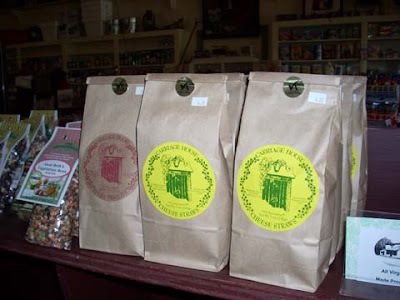 These gift items can be taken to the sales barn anytime during store hours. The sales barn will be open Monday-Saturday, 9 am-6 pm. 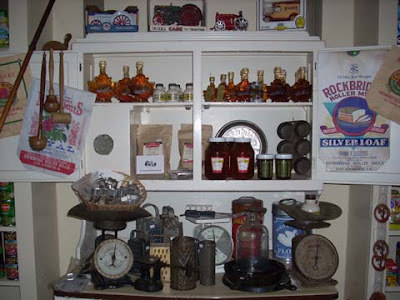 Freshly baked cookies, honey, preserves, apple butter, old-fashioned cider, cozy items, and an array of beautiful gift items and delicious treats for purchase. Bob's BBQ will be serving the best quality hickory smoked beef and pork every Saturday from 10 am-5 pm. 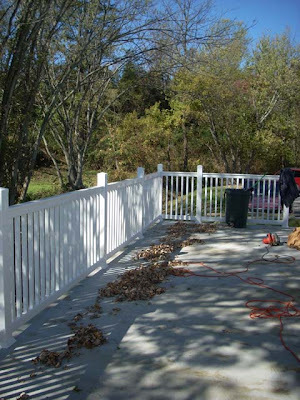 Chester Farms, 3581 Churchville Avenue, Churchville, VA 24421. Phone (540) 337-7282. Email: wool@cestariltd.com. The Cestari-Chester Farm family wishes you a Blessed and Joyous Christmas. Shopping ... where was the Christmas music? It's "Black" Friday ... the day after Thanksgiving when the Christmas shopping season officially begins ... and we were out with the crowds. No ... we did not get up for the 4 am or 5 am or 6 am openings of stores. We went later in the day and we shopped for fun. Heading out Friday morning, we picked up some bargains as we shopped, taking in the Christmas atmosphere of decorations and Santa and children. 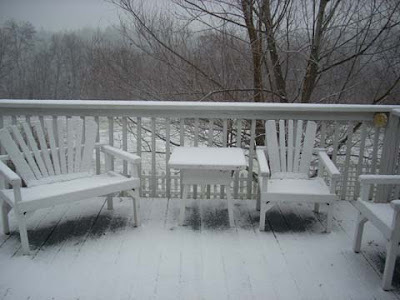 But one thing we wondered almost everywhere we went: Where was the Christmas music? It was in Kohl's but it wasn't in Target. It wasn't at Short Pump Towne Center outside walking around ... and it wasn't inside the Food Court where Santa was hearing children's Christmas wishes. It wasn't at the restaurant where we ate lunch. I distinctly remember shopping in past years with the joyful sounds of Christmas music playing as everyone bustled here and there with arms full of packages. 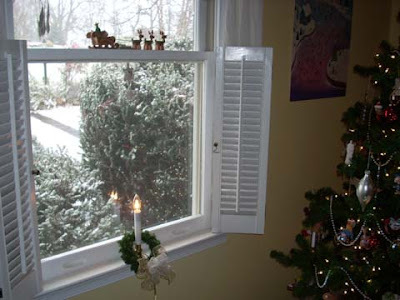 The sounds of the season created an air of festivity. We managed to get in the Christmasy spirit anyway ... and then we headed back to my parents' house to work on that zillion-piece jigsaw puzzle some more, watch Christmas movies, and eat leftover turkey. "We gather together to ask the Lord's blessings ..."
Thanksgiving and family ... it goes together ... and this year was no exception. We were blessed to spend the day together as we have each year -- my parents ... my sister, brother-in-law, and SWAC niece ... and my husband and children -- doing the things we do each year. We planned and cooked the meal ... celebrated a birthday that is part of our tradition each Thanksgiving Day complete with a Ukrop's turkey cake ... scoured the ads for the Friday sales ... put together a zillion-piece jigsaw puzzle in the family room ... played board games in the kitchen ... watched the Macy's Thanksgiving Day parade where we saw the James Madison University marching band ... go, Dukes! Our meal is always blessed by the patron of the family, and it was a prayer for our country, and for the safety of those who are away at war protecting our freedom and keeping us safe. He blessed our leaders, gave thankfulness for all we have ... and he always blesses the cooks. A resounding "amen" followed and then everyone loaded their plates as conversation and laughter filled the dining room. We are blessed and thankful to have my parents at the ages of 81 and 82 ... to have each other ... to have my Texas sister who was with her husband's family in Oklahoma this holiday but we talked on the telephone this afternoon to catch up even though we were hundreds of miles apart. I missed having her with us. America ... family ... Thanksgiving 2008. We as a nation are blessed. Then I slipped out of the kitchen to the office to check my email ... and there was an e-card sent by him, his wife -- my sister, and his daughter -- SWAC Niece. I opened it ... and laughed my head off! Mashed potatoes, indeed! Tomorrow we celebrate Thanksgiving, a holiday born right here in the Commonwealth. Just about 20 minutes east of my office in Richmond, on the grounds of what is today Berkeley Plantation, a band of English settlers knelt down on December 4, 1619 and gave thanks for their safe passage to the shores of Virginia. After a treacherous journey across the open seas they had landed in a place of beauty and abundance. They stopped, and gave thanks. Our tradition of Thanksgiving was born. Tomorrow we pause as a nation to give thanks again. 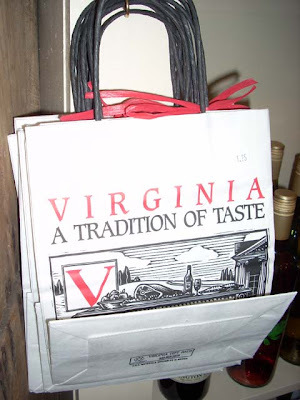 We continue a Virginia tradition begun 389 years ago. There is much to be thankful for. We live in the greatest nation on earth. We are free. We are blessed with unlimited opportunity and a wide range of material comforts the likes of which no people on earth have ever possessed. Truly, to live in Virginia, in the year 2008, is to be blessed like no other people at any time in the history of the world. However, even in this land of abundance and plenty we know many are suffering. Our economy is struggling, and word of yet more layoffs is a daily feature in our newspapers. Today the front page of The Washington Post tells us that food stamp use is nearing an all-time high. We know that even in the most prosperous of societies there will always be those who need a helping hand. Today, the need for a helping hand is spreading to many families and neighborhoods that never thought this could happen to them. That is why I ask you, as we pause to give thanks, to consider making a donation to Virginia's Food Banks this holiday season. Last year I asked you to do the same, and so many of you responded to that call. You filled the shelves of Food Banks from Salem to Alexandria to Norfolk. Let's do it again. Please visit the Virginia Foodbank website today. If you have a little extra, I hope you will consider sharing it with those who need a little help. Together, we can make this a better Thanksgiving for all Virginians. Happy Thanksgiving, and I hope you have a wonderful holiday season. Jihad Watch reported that "Western intelligence services have been expecting an al-Quada spectacular terrorist attack in this crucial period between the end of President George Bush's administration and the succession of Barack Obama." It happened today in Mumbai, India. It is being threatened for New York subways and railroads. Seven years of no terrorist attacks during President George W. Bush's time in office ... we should count our blessings. Safe from terrorism: "You may want to thank President George W. Bush"
For seven years this country has been terrorist-attack free. That is due to the diligence of President George W. Bush and those men and women in intelligence worldwide who work to intercept and interpret terrorist "chatter" which has kept us safe. Not, alas, news to me. What It Would Take is republished from American Digest from March 13, 2004. As you and your family give thanks tomorrow, you might want to include George W. Bush. Dr. James Dobson takes journalist Kathleen Parker to task for her recent column chiding Republicans for holding onto God and saying that, in order to win elections in the future, the GOP must ditch God. Ms. Parker cites the election of Barack Obama as evidence that Americans no longer care much about the moral-values issues that have historically driven conservative voters to the polls. The problem with that analysis is that it doesn’t hold up when you look at the results in the three states that voted on marriage-protection amendments Nov. 4. Residents of California, Florida and Arizona voted to define marriage in their constitutions as the union of one man and one woman — making traditional marriage 30-for-30 when the people are given the chance to decide the issue. That both Obama and marriage won in California and Florida makes it clear that many who pulled the lever for the “change” he espoused also pulled it for the stability provided by marriage as recognized for millennia in all civilized societies. Dr. Dobson then points out the hypocritical nature of the United States in allowing ... in fact, urging ... freedom of religion to all ... except those of the Christian faith -- the faith of the majority of Americans. A simple google search reveals the many instances of God being removed from the public square. We’ve never been that marginalized in our culture and government — and won’t be anytime soon, the efforts and epithets of big media notwithstanding. Former first lady Barbara Bush was taken to Methodist Hospital in the Medical Center Tuesday evening after suffering a "little bit of pain," family spokesman Jim McGrath said. The 83-year-old was taken by private car about dinner time, and doctors are running tests, he added. "So far everything is negative," McGrath said. "Fortunately, it looks like it's going to be a small matter," he said. Former President Bush was with his wife at the hospital. Sending up a prayer of thanks for this wonderful family and their leadership throughout the years ... and that Mrs. Bush will be fine and home for Thanksgiving. Every Thanksgiving, we remember the story of the Pilgrims who came to America in search of religious freedom and a better life. 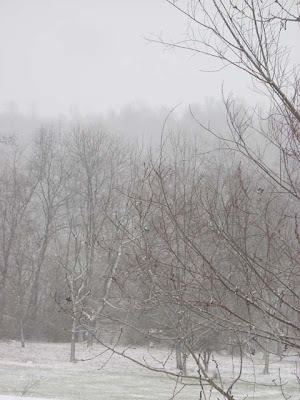 Having arrived in the New World, these early settlers gave thanks to the Author of Life for granting them safe passage to this abundant land and protecting them through a bitter winter. Our Nation's first President, George Washington, stated in the first Thanksgiving proclamation that "It is the duty of all nations to acknowledge the providence of Almighty God, to obey His will, to be grateful for His benefits, and humbly to implore His protection and favor." While in the midst of the Civil War, President Abraham Lincoln revived the tradition of proclaiming a day of thanksgiving, asking God to heal our wounds and restore our country. On this day, let us all give thanks to God who blessed our Nation's first days and who blesses us today. May He continue to guide and watch over our families and our country always. 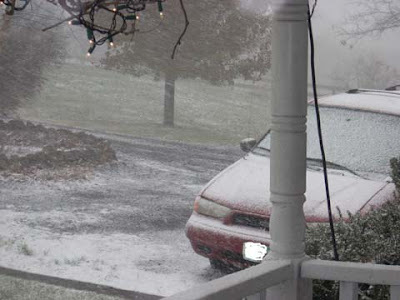 After snow flurrying all morning, a snow squall hit my corner of the Shenandoah Valley in the middle of the day, coming in on a strong west wind as the temperature sat right at freezing. It poured and there was 0.5" on the ground before it let up. 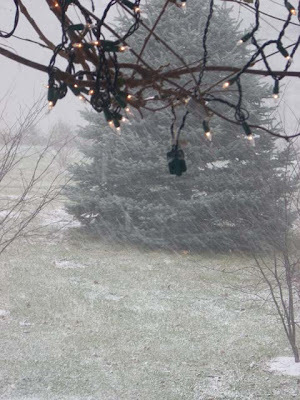 Not much ... but the beautiful scene made it seem seasonal. They are far away from home ... but their families are right here amongst us during this Thanksgiving season. Drop them a card ... take over a casserole ... invite them to join you for dinner ... remember them as their loved one fights a world away for our freedom to enjoy this holiday. Sons, daughters, husbands, fathers, uncles, aunts, wives, mothers ... there will be a missing seat at many tables Thursday. Say a prayer for them. 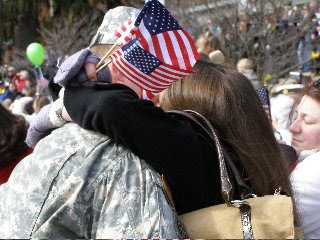 May God bless our American troops ... and may God bless their families. "From David learn to give thanks for everything. Every furrow in the Book of Psalms is sown with the seeds of thanksgiving." - Jeremy Taylor (1613-1667), English bishop and theological and devotional writer. Taylor has been called the Shakespeare of the pulpit. A century after Taylor lived, Charles Wesley reported finding great spiritual benefit in his books. 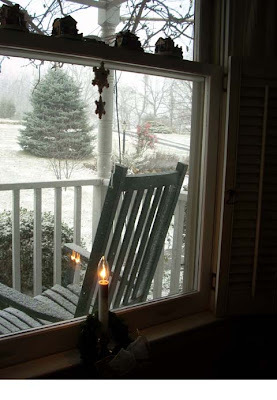 The temperature outside is in the 30s with rain that started around noon ... but indoors it is toasty with a fire in the woodstove, a chicken cooking in the pot for dinner, and Christmas music playing on the Valley's FM 93.1 radio 24/7 while I clean and decorate. I am in the Christmas spirit earlier than usual this year ... but, then, this is my favorite time of year. Thanksgiving and Christmas and family ... it doesn't get much better than that. They've worked together 12 years on Fox News' "Hannity & Colmes" TV show but Sean Hannity's revealed today during his radio show today that Alan Colmes will be leaving the show at the end of the year. The announcement was already up on Drudge but Sean confirmed it and said Alan will address it on tonight's show. Tune in ... Fox News ... 9 pm. In our family it is a tradition to have the Macy's Thanksgiving Day parade on the TV in the kitchen where cooks are preparing the meal ... and in the family room where others are visiting and the kids are playing. This year we will have an extra reason to be watching. My son's alma mater, James Madison University, is honored to have their JMU Marching Dukes band participating in New York City. It is the largest band in the school's history ... 474 strong. 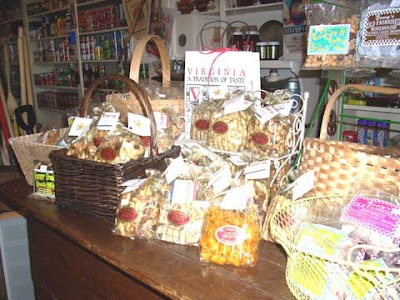 It's Christmas at the Middlebrook General store with a variety of Virginia-made products available for those who are looking for unique gifts. Located on Rt. 252 in the heart of Middlebrook, Virginia, they are 15 minutes south of Staunton. 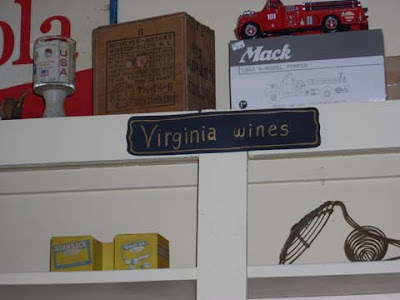 There is a great selection of Virginia-made wines for your Christmas list. 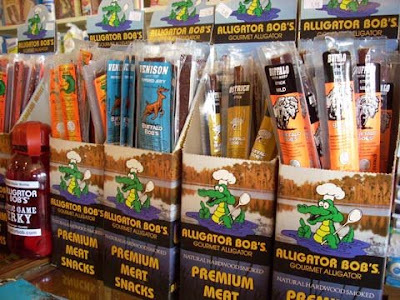 ... as is Alligator Bob's jerky. Anyone can eat beef jerky but have you ever tried alligator? 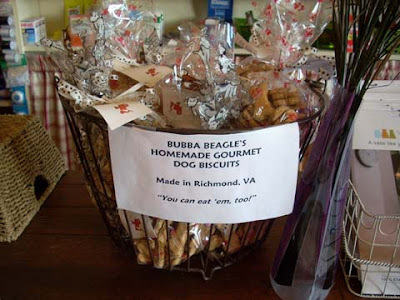 Bubba Beagle's Homemade Gourmet Dog Biscuits are brought in from Richmond ... and they are edible for humans, too! 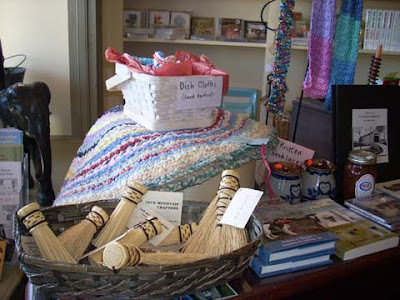 Homemade dish clothes, hearth brooms, rag rugs ... you can find them all. 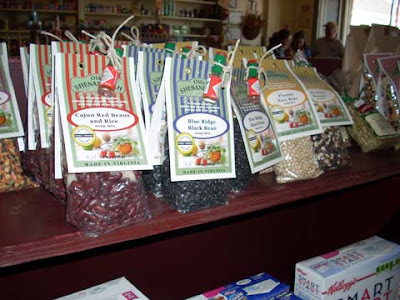 Canned goods of all kinds are available. I picked up some apple butter that had been made by the Middlebrook Ruritans. The pot-belly stove really works. Stop by for lunch and try the soup on a cold wintry day. I had potato soup one chilly day recently when I was there ... it was filling and yummy. Or just stop by for conversation with the locals. New deck built onto the building will act as a seating area with tables for next year. It overlooks the creek that runs beside the store. ... as well as goodies of all kinds. 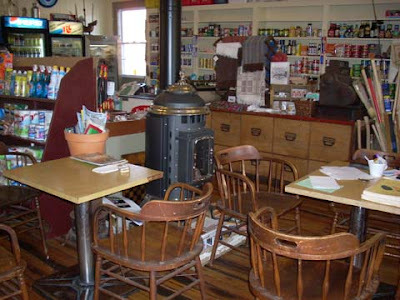 This is the original counter and cash register. ... and soups, dips, and more. "Support & Honor Our Troops" ... if you stop by be sure to check out the chalk board with names of local military personnel. 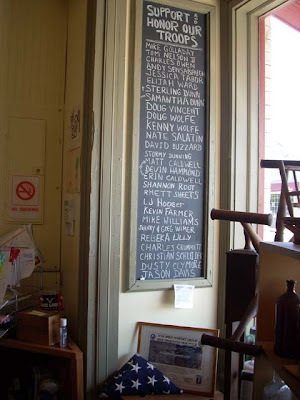 The store owner is a Navy veteran; one of the clerks is an Army veteran (nurse). 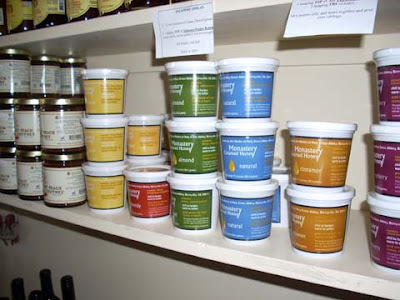 Monastery Gourmet Honey from Virginia. 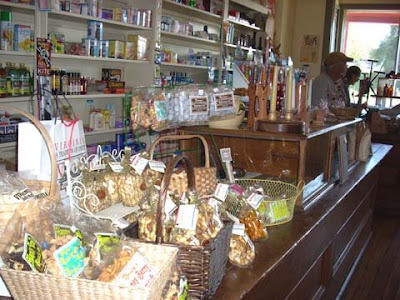 What is it about old country stores that is so comforting? Perhaps I feel comfortable in the aisles with the old wooden floors and counters because of an uncle in North Carolina who owned the old family store and, as a child, my sister and I would race up and down the aisles and stare in amazement at all the products that were stocked on shelves, in corners, in the store room. 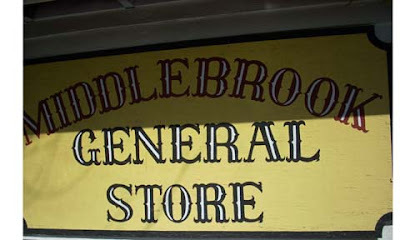 A country store is a little like the heart of a village ... and Middlebrook General Store fits that description. 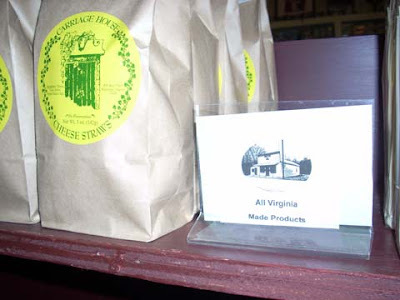 A meeting place ... a place to learn the local news ... a place for musicians to gather on Friday nights ... and a place to pick up light groceries or a soft drink or lunch or Christmas goodies that are Virginia-made ... the atmosphere is heart-warming and welcoming. If you are in the Shenandoah Valley, find your way to Middlebrook on Rt. 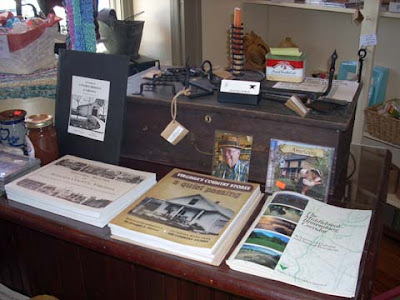 252 south of Staunton ... and check out the Middlebrook General Store. And be sure to tell Tom, the owner, or Chris, Hannah, or Millie -- whichever one is working that day -- that you read about it on SWAC Girl! 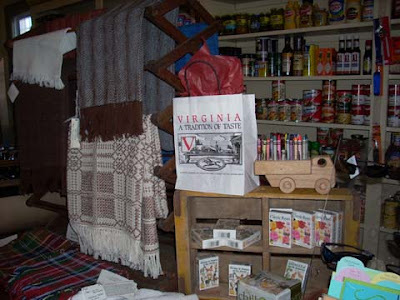 Christmas in the Shenandoah Valley ... at the Middlebrook General Store. The annual Staunton Christmas Parade has been hit by the political correctness that is running throughout the nation. Scheduled to be held on Monday, December 1, at 7 pm, the Staunton Downtown Organization has renamed the Christmas Parade the "Holiday Parade." The blue city of Staunton, located in the red Shenandoah Valley, has gone politically correct with Christmas. Local churches enter Christmas-themed floats each year ... high school bands play Christmas songs as they march along Beverley Street ... twirling clubs dress up in Christmasy elf costumes ... "Jesus is the Reason for the Season" is seen on many entries ... and who brings up the rear of the parade? The big jolly elf himself ... Santa Claus. The famous Grucci Fireworks Company, known throughout the nation for spectacular fireworks displays at major events, donated $5,000 worth of fireworks to the Patchogue (NY) Christmas Boat Parade in 2007 for their waterway celebration. This year they have pulled completely out of the parade. Why? Because the powers-that-be decided to change the name to the Patchogue Holiday Boat Parade. The company's vice president, Philip Butler, who has criticized the secularization of Christmas in the past, said parade organizers were "using all the themes of Christmas and plagiarizing all those themes." Thank you, Mr. Butler. I concur. A November chill and a Yuletide boycott apparently conspired to keep some spectators away from Patchogue's annual boat parade, but about 1,000 people still lined the Patchogue River yesterday to celebrate the event that had as its theme "Community United." Brookhaven-based Fireworks by Grucci decided to pull its sponsorship this year because of the Greater Patchogue Foundation's decision to remove the word "Christmas" from the event's name. 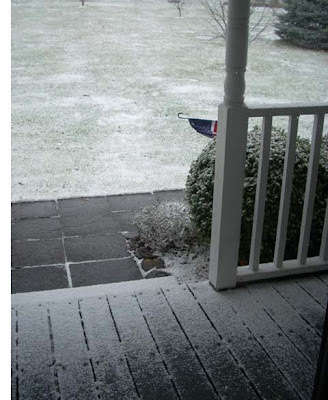 Grucci vice president Philip Butler, a self-described "Christmas cop" who has campaigned against the secularization of Christmas, and his supporters also encouraged residents to stay home on parade night. The event, now called Patchogue Boat Parade of Lights, drew about 500 fewer spectators than usual, said David Kennedy, a member of the Greater Patchogue Foundation's Patchogue Riverfront Committee. Still, Kennedy said the parade was a success. It featured holiday-themed boats chugging about the river. "If you ask anybody, they don't care about the name; they just enjoy the parade," he said. Apparently, Mr. Kennedy, people do care. From Philly comes the story of a young man who showed up at an Obama event election night wearing a McCain-Palin tee shirt. What happened afterwards was reminiscent of communist regimes. A video surfaced of the young man being roughed up, handcuffed, and jailed. For what? Mat Staver of Liberty Counsel said there was a constitutional right to freedom of expression that this man was denied. "What I am afraid of is that there are some people who want to simply silence your views," he explained. "They talk about tolerance. They talk about, in fact, that they want to have everyone be tolerant toward one another, but in reality you find it's only a left-leaning liberal view that they're talking about." Careful what you wear ... careful what you say ... careful who you worship ... it's East Germany -- oops, no -- it's 2008 in America. 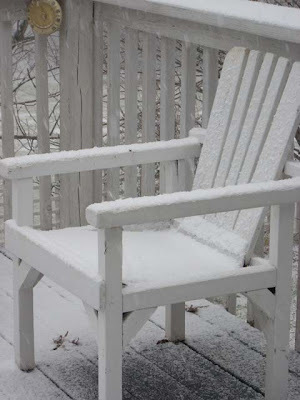 More at Snowflakes From Hell, Beltway Blips, and Say Anything Blog. It was a standing-room only crowd today for the Thanksgiving service at a local church. The congregation had gathered to give thanks. Pro-conservative, anti-liberal, and pro-military, it was a rousing Sunday morning sermon that stirred the soul and cause patriotic hearts to swell with pride. All were proud of America, and the pastor was not afraid to say he was proud of America. Missing from America, he said, were citizens who were thankful for this wonderful country we live in. This nation, he continued, is in dire shape ... the fight is ahead of us. Our country is going downhill after spending seven years building it up and it could lead to a second 9/11. He is tired of hearing people bash America ... there was agreement from the congregation. America has the strongest military in the world, he said, and everybody needs to stand together and fight. From the congregation came a HOO-RAH and the military members of the church began to clap and cheer. The pastor's patriotism was on his sleeve ... his Christianity was on his sleeve ... his soul was on his sleeve as his voice built to a crescendo ... and then he ended. There was a moment of silence ... and then the congregation gave him a standing ovation. Campus evangelism now a crime? God seems to be moving farther away from the public square. Take the case of Yuba Community College (California) student Ryan Dozier who was handing out Christian tracts to fellow students when he was told to stop by a campus policeman. For his "crime" he could be expelled or arrested, he was told. The college followed up ... and it is now in the court system. America was built on religious freedom and freedom of speech. I remember as a young girl in the 1960s hearing in Sunday school how Russia and Germany crushed down on Christians and did not allow them the freedom to worship ... and the implication was it could someday happen in America. "No way," I thought ... and the youthful, innocent child believed it ... but many things are beginning to change my mind. As we enter the Christmas season it will be interesting to see how much Christmas ... that time when we celebrate the birth of Jesus Christ ... comes under assault again. As we continue to do nothing, our rights are eroding. Got an email from Dan Maloney who is the New York State Director of the Gathering of Eagles saying that today had been proclaimed as Victory in Iraq Day. Some have decided it may be unlikely we will hear those words and, since it has already happened, it may as well be celebrated. GOE NY has it posted as well as Zombie Time and Liberty Boys ... and even Yankee Phil. Here's to our hard-working troops who keep us free. Thank you and God bless. Who voted for Barack Obama? Open letter: "Thank You President Bush"
Veterans Day 2008 ... "Have Your Forgotten?" "Schwarzenegger Model is Disaster for GOP "